Are your summer watering bills higher than you'd like? Are your plants or lawn turning brown or maybe yellow? Could runoff from your lawn be harming local lakes and rivers? Irrigation systems help us properly care for and maintain our homes and businesses and it's important to keep them running optimally. Over time, sprinkler systems may lose their effectiveness for a variety of reasons. One of the most common issues that change the effectiveness of an irrigation system is simply plant growth. Plants that grow over time can block sprinkler head spray patterns, causing dry spots in a lawn or flower bed. Also, it is common to over water established plants. Once plants develop extensive root systems, watering requirements are drastically decreased from the first year or two they were installed. 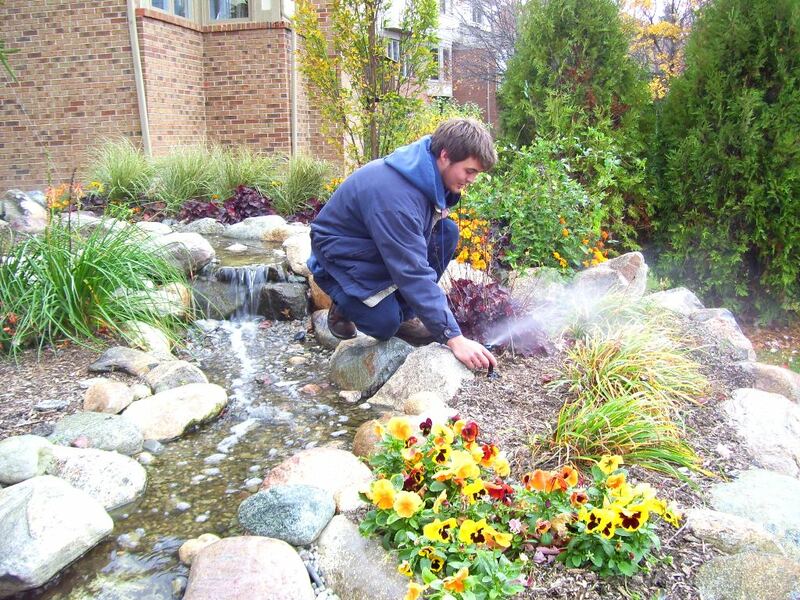 It's important to maintain a properly functioning system that is optimized based on the needs of the landscape. Audits are a great way to make sure your system is working the way it should be. We can come out, turn on each zone, inspect valves and controllers, examine each sprinkler head, and make recommendations for how to improve, repair, and reconfigure your irrigation system to make sure it is as efficient and effective as possible.